This is the third and final part in my last article series outlining Zero State (ZS) ideas. You can find Part 1 here, and Part 2 here. This series outlines our transition from establishing a firm theoretical basis to an action-based path, allowing us to focus on developing active core project teams. Any civilization which would survive convergent risk must embrace accelerating change toward a positive Technological Singularity. Its citizens must transform their minds and bodies/environments (both real and perceived) to adapt. This vision is Survivalist, Transhumanist, and Singularitarian, and it forms the basis of the Zero State worldview. ZS is dead. Long live ZS. ZS has officially existed since 12011, arising from an array of small precursor groups existing for years before that. It has already evolved through several phases since then, and at every stage I notice that there are always both enthusiasts, and people itching to claim the entire project a failure at the first sign of any problem. The reality of ZS’ future is considerably more complex than a simple win/lose dichotomy. We play the long game, and while many criticisms of ZS have been entirely valid over the last few years, the point is that ZS persists and evolves. Failure of any given mode, stage or incarnation is not total failure, but merely an informative development (as long as we are alive, motivated, and learning from our failures). ZS is not anything so parochial as a company, a social network group, or any kind of narrow-focus technical project. So yes, we have experienced some difficulties, but they only serve to teach us how to better proceed, and to shine a light on those who, deep down, would really prefer that we fail. ZS is perhaps best described as a network, above all else. More specifically, it is a network centred upon a set of consistent (Social Futurist) Principles, and focussed upon a single goal (to establish the Zero State as a principled community, to survive and thrive amid accelerating, disruptive change). It is not a business, church, or government, or indeed even a single organization of any sort. It is an idea, of a network through which multiple groups, communities and organizations can work toward the common good together. Going forward, we will now operate on the basis of a small handful of core working groups, which together constitute the foundation of ZS. Each such group is expected and encouraged to develop its own network of friends, collaborators, resources, missions and sub-groups, always growing further out into the world. Using this as our model, we can allow each group to embrace or abandon prior aspects or incarnations of ZS as they see fit, as long as they remain true to our shared Principles. Thus, ZS can now “die”, let go, abandon all modes which have not been working, only to be reborn in a new, vigorous, emergent form. This final article aims to make clear the simple logic of that new form. The Array is the essential form of ZS; its central logic and beating heart. Within the story told in the ZS-ARG Mythos, the Array is a network of twelve AIs which collectively govern that future State. The Array is also said to exist here in the present day, in nascent form, as the central object of ZS work and community. That contemporary aspect of the Array is important to all ZSers, by definition, regardless of whether they consider ZS a game and care about the ZS-ARG mythos, or prefer to engage in a less removed, perfectly earnest way. Within the metafictional ZS-ARG scenario, the twelve future-AIs that comprise the Array hive-mind are individually the governors of the twelve ZS Houses. Those Houses are arranged in a 3 x 2 x 2 structure, which is to say that three Higher Sections each contain two Metahouses (total six), which in turn each contain two Houses (total twelve). “Core Sessions” are those realtime, online meetings which define the very heart of ZS. As a matter of sheer pragmatism we will now proceed with only four Core Sessions per week, as listed below. For more information, ask in one of our lists or social network groups. Foundation Metahouse (FM) is one of two Metahouses comprising Section Seven. S7 has two Core Sessions (rather than one for each of the other Higher Sections) because it is currently the most active Section, with enough engaged people to warrant the functional separation. As ZS evolves, each subgroup must further develop its own structures, sessions, and protocols. FM acts as a bridge between ZS and another organization known as The Foundation (as is explained in the Black Book), and in doing so focuses on the theory and development of AI / AGI / ASI. Foundation Metahouse is fundamentally concerned with the Future of Mind, or the central importance of sapience, sentience, intelligence and knowledge to the future of our civilization. Foundation Metahouse will operate as a private laboratory, developing and marketing AI applications. The other S7 Metahouse with its own dedicated Core Session is Cloud Nine (C9), which is focussed on the development of virtual environments/worlds, usually within a gaming context but also employing other (arguably more direct) approaches to global problem solving. In other words, Cloud Nine is not limited to a focus on gaming or VR, but those ideas do reflect certain core interests of the Metahouse. One function of C9 activity is to develop environments appropriate for testing “FM-AI” (Foundation Metahouse – Artificial Intelligence) applications, ideally in conjunction with human participants, where their interactions can be studied. C9 Core Sessions are currently split between an hour “in-game”, using RPG devices to encourage creative interaction, followed by a one-hour planning/brainstorm session. 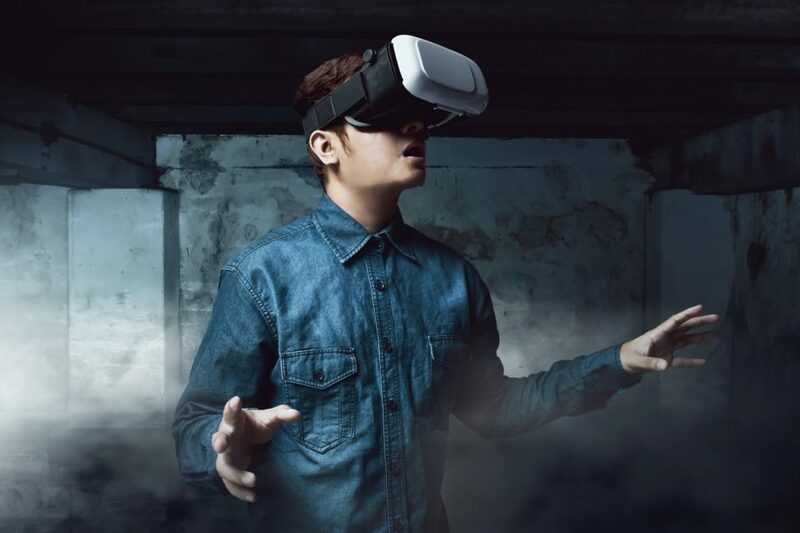 Cloud Nine will operate as a game company, developing and marketing VR/AR applications. Section Six (S6) is the ‘Higher Section’ (one of three) concerned with matters involving Artificial Intelligence, and External Relations. As such, its concerns naturally align with those of Foundation Metahouse (FM), albeit with significant differences of “culture”. Where FM focuses on active development of AI software with other related concerns being secondary, S6 places much greater emphasis on considering and preparing for the socio-political-economic effects of AI and other technologies. S6 will almost certainly explore AI and other software development projects of its own, but that is a concern secondary to its social activism. Section Six will operate as an activist network, working to promote Social Futurism, which is to say Positive Social Change Through Technology. Just as S6 has a natural alignment of concerns with FM, Section Five (S5) has a similar alignment with Cloud Nine (C9). That is to say that S5 is concerned with Virtual Reality and Internal Affairs, so it shares certain interests with C9, but S5’s emphasis is on behaviour within such environments, rather than direct development of the environments themselves. That focus is driven by a fundamental need to properly maintain and develop ZS as a whole. When studying behaviour within ZS-managed systems, S5 orients itself in terms of two key questions: (1) Is the behaviour in question in accord with our Principles? & (2) Is the behaviour optimal for achievement of ZS goals? Section Five will operate as a kind of feedback loop or meta-network, ensuring that ZS activism remains true to our ideals and goals over time. As I’ve explained elsewhere (including at length in multiple Transhumanity.net articles), ZS can be considered in terms of a game, specifically an Alternate Reality Game (ARG), although members are not at all required to see things that way. The important thing to understand is that a game can be as “real” as any other organizational mode, given that reality is often best defined in terms of practical consequences. In other words, it doesn’t matter if you view an activity as a game or not: What matters are the consequences of that activity. The real question for any ZSer is what action they are taking, and what consequences it will likely have. As I’ve explained elsewhere, the logic of ZS includes the notion of a Path or Process, which is to say our trajectory from our contemporary early-C21 reality to the Posthuman future of the late C21 and beyond. “The Process” is inevitably a work in progress, constantly updating itself and evolving. An intrinsic part of that Process is our constant expansion, which naturally leads to interaction with external entities. Just as we regulate our internal affairs in accord with our Social Futurist Principles, we must also develop simple, fair, and effective Protocols for the management of our external interactions. The basis of all such Protocols must be rigorous assessment of others’ abilities and intent. This final section will now briefly explore aspects of ZS’ outreach activity. As previously explained, the early days of The Process involve the establishment of networked Social Futurist groups and communities, both online and IRL, with the aim of establishing a one-million person Zero State by 12025. The question remains, however; How can we sufficiently motivate people to work toward that vision? One possibility is necessity, which is to say that if people’s circumstances become hard enough and they can see concrete advantages in being part of the ZS community, then they will join and do their part. As powerful a motivator as necessity is, it is an unfortunate one which we would wish on no-one, and we are well aware that at this very early stage we have no safety net to offer others. A second, more joyful possibility is fun, which is to say that if we can dress our work in the clothing of games and other enjoyable activities, then people will engage in those activities for their own sake. Thirdly, we may consider the possibility of people being motivated by personal gain. On that third point, let’s take a moment to consider the Roman general and statesman Gaius Marius, and what we might learn from him. Marius was a notable figure, elected Consul an unprecedented seven times, whose Marian Reforms of the military laid the foundation for Rome’s transition from Republic to Empire. Among other innovations, Marius famously expanded the army to include local (non-elite) recruits and introduced the notion of rewarding soldiers with land, which created strong personal incentive for the soldiers to fight, to loyally support their general, and to expand the Roman Imperium. Going forward, we ZSers must collectively develop similar simple mechanisms which unify individual and community benefits. In other words, we must create tools which are the means of implicitly realizing our external-relations protocols, which confer direct personal advantages on their users while also helping ZS as a whole. Done well, such a protocol design should give rise to a positive feedback loop or “upward spiral”, in which individual ZS activity helps not only the individual but also the ZS community, which can then in turn help those ZSers who need additional personal help. ZS’ ability to survive and thrive already depends upon its ability to gather and manage resources, and that will only become more true as time goes on. The kind of external relations Protocols discussed above will be necessary not just to directly protect ZSers, but also to gather the resources we will need in order to survive and thrive as a community. Of equal importance is the intelligent management of all gathered resources, which is something which we will need to consider at length, as a collective. In line with ZS’ intrinsic Social Futurism and historical aversion to blindly “choosing a side” in terms of the Left- & Right-wings, we must remain open to various resource-management approaches (e.g. centralized vs. decentralized, State vs. Private). Going further, we must also remain open to radical economic approaches including the latest blockchain / cryptocurrency technologies, and considering where direct, non-monetary management of resources may be possible and desirable. For further discussion of Social Futurist views on Land Value & Automation Taxes (LVAT), Citizen’s Wage / Universal Basic Income and other possibilities, see my article “Social Futurist revolution & toolkit”. Within ZS, the primary in-house statistic, currency, or logistical backbone is known as Dharma (Ð). For the moment Ð is treated as a centrally controlled system-in-development, but the intention is to automate and decentralize the system as soon as core ZSers consider it to be well designed, operating well, and trustworthy. If you would like to know more about (or contribute to) the Dharma system, then you should ask about joining one of the core ZS Sessions, via any of our key social network presences. Different groups and organizations connected to ZS – the different nodes in the ZS network – will explore these ideas in their own ways, always with an eye on the greater good of the entire ZS community. As has always been our way, if you want to have any say in how things develop, then get involved. This article series has recapitulated a number of ZS and Social Futurist ideas which form our theoretical basis, thus clearing the way to a focus on action. If anyone wishes to understand our deep logic, the reasons for our actions, then they can always refer back to these records. Moving on from here, my posts will all focus on action points, which is to say opportunities to further explore and develop ZS’ frontiers. If you want to know more, Join ZS.